Absolutely amazing stay. Dimitris and his family were so lovely and accommodating! He took us for a drive around the local area so we could orientate ourselves and his recommendations were spot on. He even sourced a rental car for us. Bus stop is an short walk from the house which takes you right into Corfu town. Fantastic service, amazing, green and quiet surrounding. Place is super clean and very well taken care of. We really enjoyed the pool and the beautiful view over the mountains. Hosts are super friendly, helpful, helped us to organize a cruise. We got free airport pickup as well :) :) Thank you ! Everything was perfect. The comfortable new rooms, the pool area, all the necessary things in the bathroom and kitchen. The best part is the hosts, made us feel very welcome, offered coffee, made really good recommendations for visiting the island, at the same time being very discreet. To top it off, there is one of the best restaurants in the area, the Squirrel, nearby. We were also very lucky to attend a village feast one of the days of our stay. A heartfelt thank you to Angelo and Dimitris. Just returned from ziogas apartments. Dimitris collected us from the airport after having good communication all the way through. We got our request for a ground floor room looking out to the pool to be able to see the children play.The apartments were clean and tidy. We had the pool more or less to ourselves and it was a very quiet location. Really great place to stay!! Room very clean and comfortable! Amazing to have the swimming pool so you can chill there before to go to beach and when you are back! The location is perfect because you can arrive even by walk to dassia or ypsos in 20 min; there are also good restaurants around the building (5 min walking). The staff is great: they help you whenever you need and they were so kind that they pick me up and bring me to the airport! Of course they suggest you what to visit and where to go to eat! I really highly recommend this place! I'm sure that if I will be back in Corfu I will be also back in this structure!! The appartement was great. A very nice swimming pool and the apartment was clean. The owner brought us to many places and was always available for help. He even showed us the island on our way from the apparement. Very friendly people! We had an excellent stay. 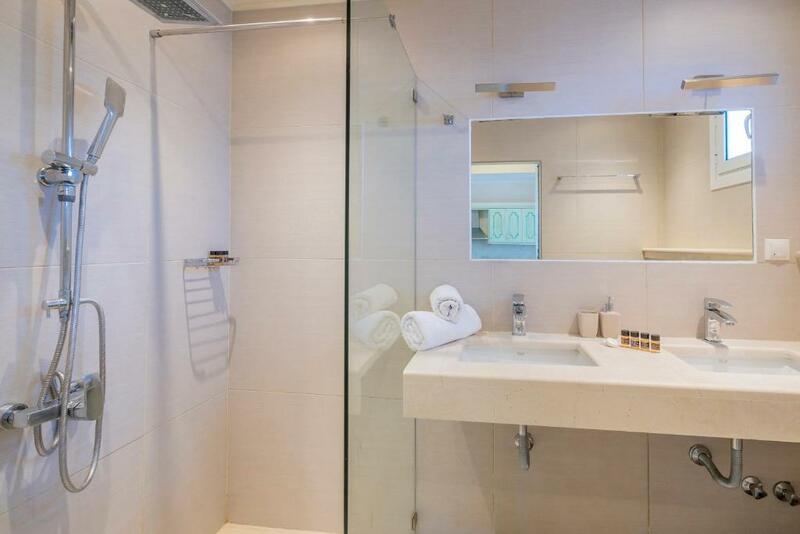 The apartment and the facilities are always clean and in perfect conditions. The owners and the staff are very kind, helping us with whatever advice or help we needed. We were traveling with our baby so the place was perfect as we were looking for a quiet environment. Very happy of have chosen this property for our holidays. The room was spotless and had everything you could possibly need. Dimitrios was amazing and nothing was too much trouble for him. It's such a nice family run hotel and they really do go out of their way to ensure your stay is comfortable. Would recommend to all if you're looking for a peaceful relaxing stay. Lock in a great price for Ziogas Luxury Apartments - rated 9.7 by recent guests. Surrounded by the lush greenery of Dasia, the family-run Ziogas Apartments is 750 yards from Ypsos Beach and features a pool. 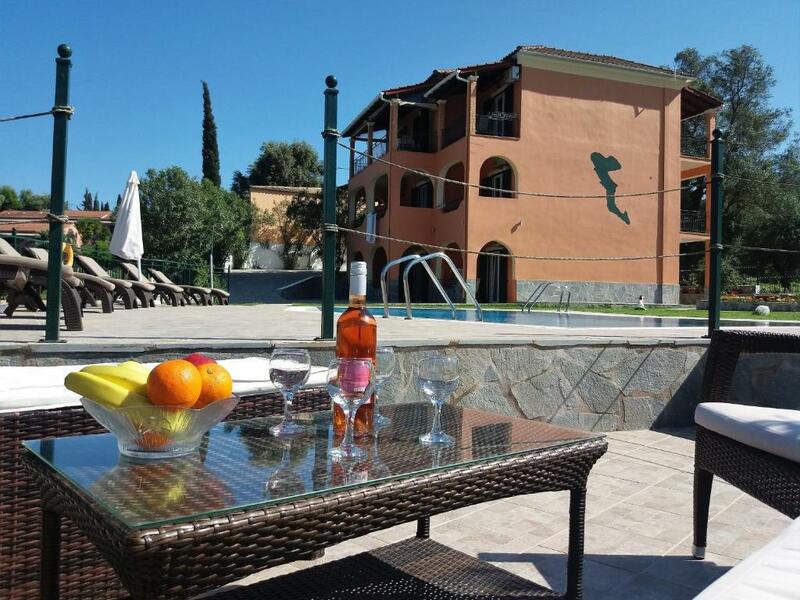 It offers studios with free Wi-Fi and a balcony overlooking the garden and mountains of Corfu. Shops, cafés and restaurants are 350 yards away. Free, private parking is possible on site. The scenic town of Corfu is at 7.5 miles. Corfu International Airport is 6.8 miles away. Ziogas Luxury Apartments has been welcoming Booking.com guests since 5 Apr 2012. 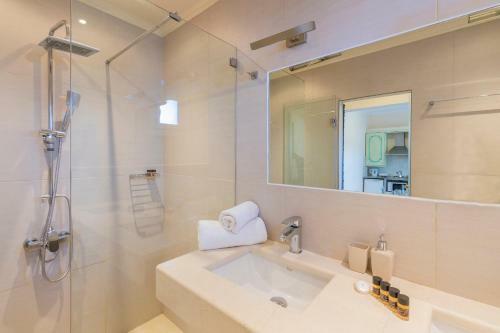 When would you like to stay at Ziogas Luxury Apartments? 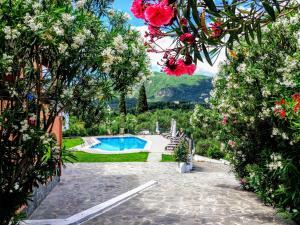 Air-conditioned studio featuring free Wi-Fi and a balcony overlooking the garden and mountains of Corfu. 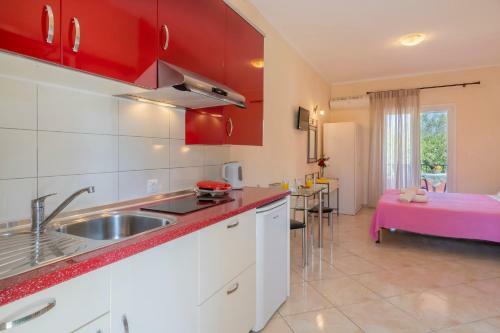 Includes a TV and kitchenette with cooking hobs, fridge and dining area. 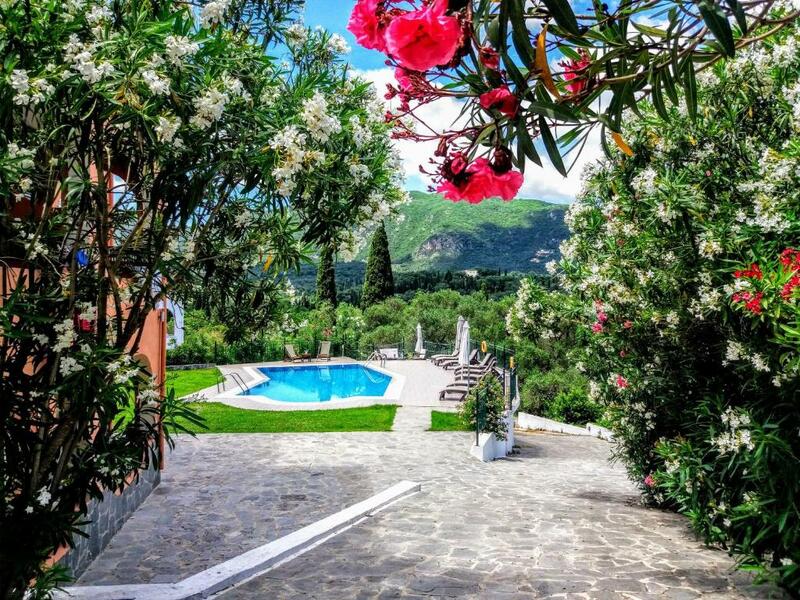 Air-conditioned studio featuring free Wi-Fi and a balcony overlooking the garden and mountains of Corfu. Includes a TV and kitchenette with cooking hobs, fridge and dining area. This studio has no capacity for extra beds. 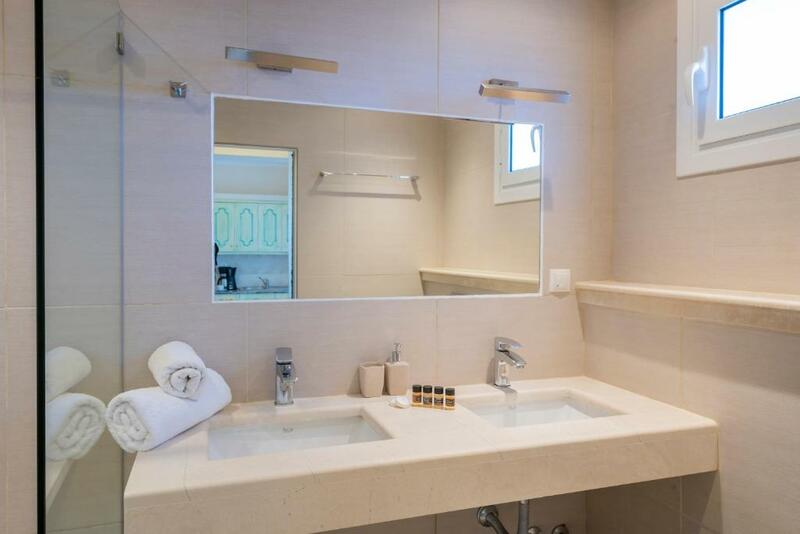 House rules Ziogas Luxury Apartments takes special requests - add in the next step! Ziogas Luxury Apartments accepts these cards and reserves the right to temporarily hold an amount prior to arrival. Please inform Ziogas Luxury Apartments in advance of your expected arrival time. You can use the Special Requests box when booking, or contact the property directly with the contact details provided in your confirmation. Not completely the apartments fault however the location was up a steep hill from the main strip of dassia and had hardly any tavernas or bars around it. We had to walk a lot to get to places as the transport was very limited. The air conditioning was one unit in the main hallway and not individual so we had to have our main bedroom door open all the time. Could have had a welcome pack of Food and drink and possibly more towels. Overall we were very happy with our stay but didnt enjoy travelling so far to get to places. Thank you so much for making us so welcome .